“Henry is a very intelligent, multi-talented man. His musical abilities are a joy to behold. 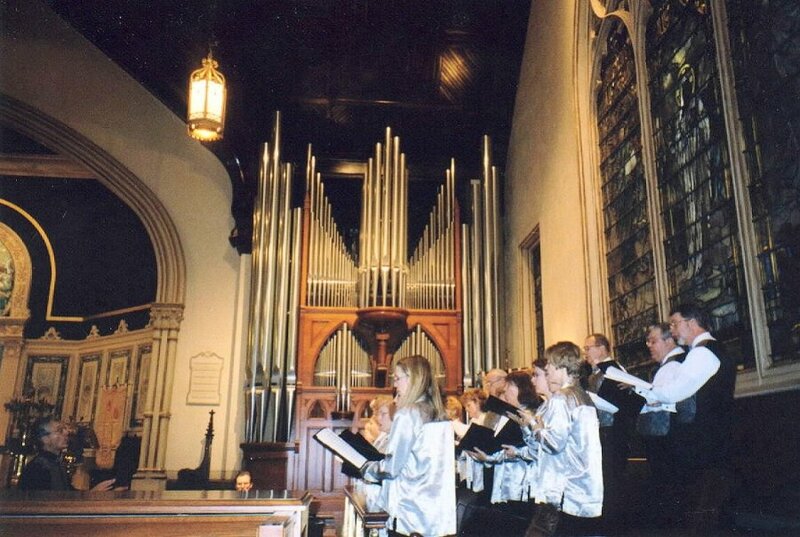 He made our small choir sound like so much more than we are.”—Karen Baker, Alto Section Leader, Grace Evangelical Lutheran Chancel Choir, Rochester, Pennsylvania. Henry Doktorski formally began his conducting career at the age of 17 when he was appointed student director of the Saint Peters High School Concert Choir (New Brunswick, New Jersey). He subsequently studied orchestral conducting with Dennis Herron at Park College, and choral conducting with Gerre Hancock at St. Thomas Church in New York City, and Alfred de Jaager at West Liberty State College in West Virginia. He also studied children’s choir conducting with Helen Kemp at Westminster Choir College in Princeton, New Jersey. Although Henry doesn’t consider himself a “singer” as such, during his undergraduate days he studied voice with Susan Franano at Park College (Parkville, Missouri), and later with Dr. Kenneth Mahy at West Liberty State College. He sang the bass role of Uncle Bonze in a concert performance of Madame Butterly hosted by the Northland Symphony Orchestra, sang in the men’s chorus of Wagner’s Flying Dutchman for the Kansas City Lyric Opera Company, and also sang in the chorus of the Reorganized Church of Jesus Christ of Latter Day Saints (now known as the Community of Christ) in Independence, Missouri, in an epic performance of Handel’s Messiah. Later, he served as cantor for the Roman Catholic Cathedral of St. Joseph in Wheeling, West Virginia. More recently he sang (and played accordion) professionally on stage in the Pittsburgh Ballet’s 2013 production of Moulin Rouge: singing La Vie en rose in French and accompanying himself on the accordion. Henry has directed numerous vocal and instrumental ensemble productions, including a performance of the complete Faure Requiem with the St. Sebastian Choir and Orchestra. He conducted the Pittsburgh Chamber Orchestra (an ensemble of Pittsburgh Symphony musicians) and the Duquesne University Chamber Players at studio recording sessions which were released on two compact discs by Alanna Records. He has also directed music theater productions for the Actor’s Prologue Company (Parkville, Missouri: Bertolt Brecht’s The Good Woman of Setzuan, Damn Yankees, Jacques Brel, Storybook), the Johnson County (Kansas City, Kansas) Park and Recreation District’s Theater in the Park (Godspell), and the “City of God” Interfaith Community (Marshall County, West Virginia). He appeared as guest conductor in concerts with the Westmont Philharmonia Accordion Orchestra (Haddon Township, New Jersey). 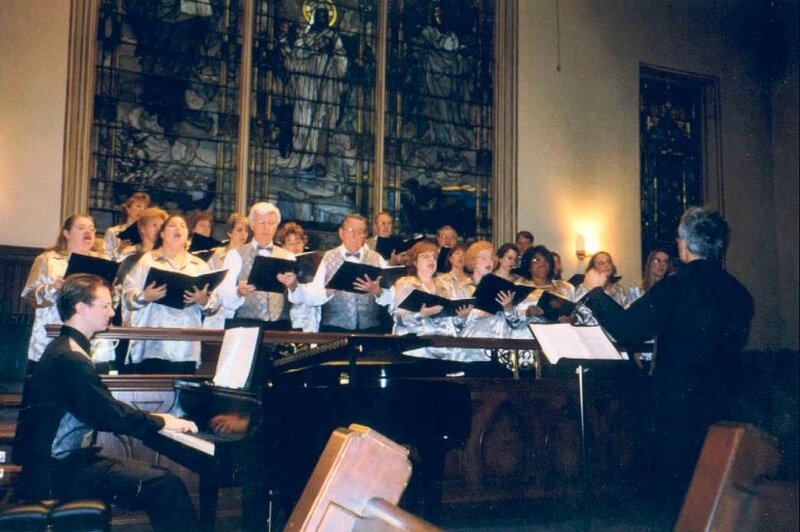 Henry also served as conductor for the Alcoa Singers, the choral ensemble for employees of the Alcoa Aluminum Company in Pittsburgh (2001 to 2011), as well as choir conductor for several churches in Pittsburgh (St. Sebastian Roman Catholic, St. John of God RC, St. Patrick RC, and Grace Lutheran).